Wondering on where to plan your honeymoon? This week, we show our readers how the sun-kissed, Mediterranean shores of the Maltese Islands are the perfect choice for newlyweds. First things first. No matter what activities and trips are planned, every couple deserves the space in which to relax and enjoy the destination of choice in privacy and luxury. For a truly special home-base, get in touch with Luxury Villas Malta to rent out your own private vacation rental featuring stunning views, pools and an outside terrace area that will make for memorable days lounging by the pool and enjoying a glass of wine in the cool evenings. Hitting the beach might seem like a no-brainer for any Malta-bound traveller, yet avid beach-goers are in for a treat with a wide variety of different types of beaches to choose from. For rocky beaches with beautiful blue pools and lagoons, opt for Malta’s Southern beaches: Għar Lapsi, Wied iż-Żurrieq or St Peter’s Pool. 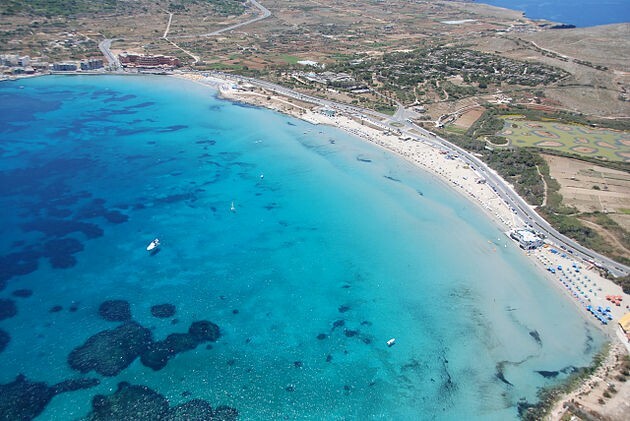 For more sheltered, sandy beaches head to Malta’s north to Għajn Tuffieħa, Golden Bay or Għadira. Comino’s Blue Lagoon is an additional must see and Gozo holds its own with its own set of gorgeous seascapes that include Ramla Bay and the Wied il-Għasri inlet. As the European Cultural Capital for the Year 2018, Malta’s capital city, Valletta stands as a testament to the rich, cultural tapestry of the Maltese Islands. 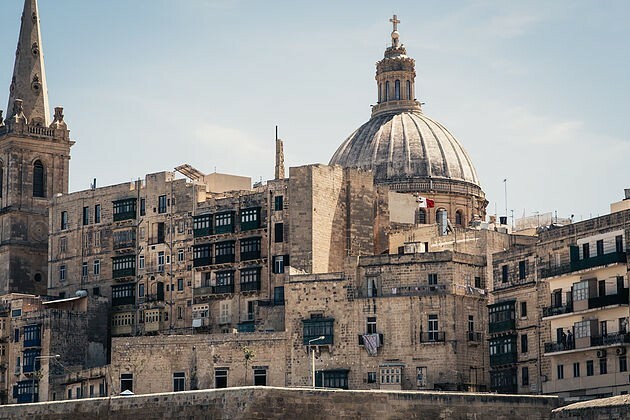 Couples looking to deepen their knowledge of Euro-Mediterranean architecture, history, culture and arts stand to learn a lot by wandering the streets of Valletta, a city listed on the UNESCO World Heritage List. 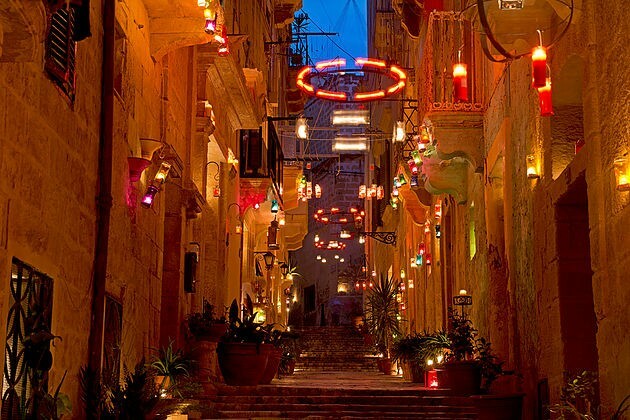 Located in the exact centre of the Mediterranean Sea, Malta’s food is inspired and influenced by Italian, North African and Middle Eastern cuisines emboldened by the Mediterranean fare that grows locally: oranges, potatoes, capers, locally grown pork and a variety of herbs that lend Maltese food a rich yet fragrant profile. 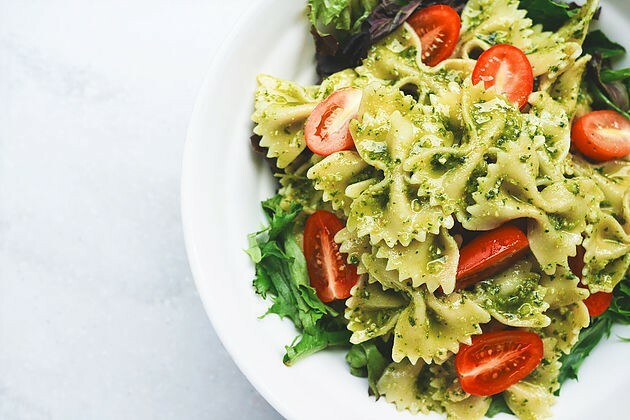 Foodie couples might want to prioritize indulging in some street food first: pastizzi, qassattat and imqaret before trying more traditional meals such as stewed rabbit and grilled swordfish. Plenty of fine dining options are also available for couples looking to experience high-end, fusion dining experiences. Nature-loving couples looking to hike and trail their way across new places are in for a treat with Malta’s scenic views. For stunning cliff-top scenery, head to Dingli Cliffs, an area that features one of the best sunsets in the Maltese Islands. For a unique hill climb that leads to a stunning view, opt for the trail leading up to Calypso’s cave in Gozo. For hiking routes that feature Malta’s garrigue vegetation and unique Mediterranean landscape, hike across the Victoria Lines, a geographical fault line that crosses Malta’s northern half from its southern half. Eager to celebrate with your significant other by partying a night or two away? Malta’s Paceville area in St. Julians is well-known for its string of clubs, bars and pubs and is popular with locals and tourists alike. 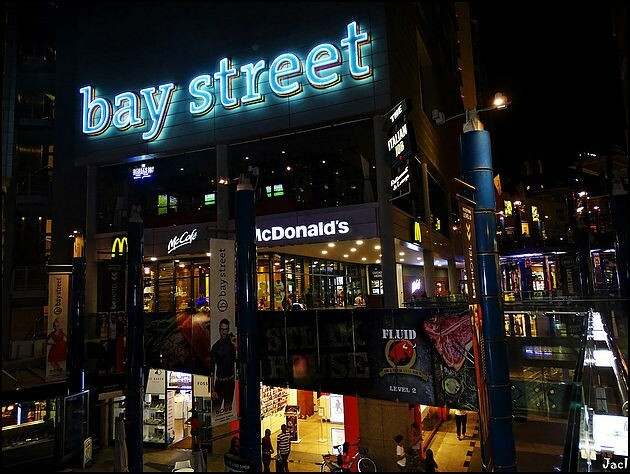 For an evening that combines hanging out around the party scene with more toned-down activities, the nearby Bay Street Complex area has bowling, cinema as well as shopping facilities. Great restaurants also dot the area. For intimate and romantic settings that feature some of the Maltese Islands’ quaint and traditional beauty, map out some of Malta and Gozo’s smaller villages and towns for exploration. 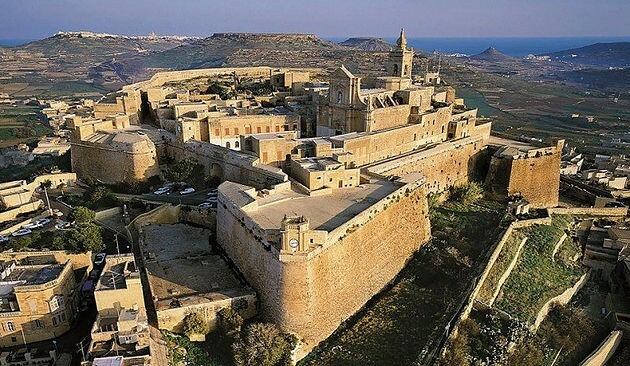 Mdina, Malta’s old capital city, makes for a beautiful romantic day-trip, as does Gozo’s historic Ċittadella in Victoria. The three cities, Birgu, Isla and Bormla are also great for street exploration with plenty of photographic opportunities to capture the more special nooks and crannies of the Maltese Islands. Couples eager to rack up mileage on their travel counter will be pleased to know the Maltese Islands are made up of three distinct islands, two of which are inhabited: Malta is the main island, Gozo is its sister island and Comino is a small, uninhabited, rocky islet. Malta’s proximity to other prominent Mediterranean destinations including Sicily, Ibiza, Tunis and Greece, make it a great stop for couples looking to include multiple destinations in their honeymoon itinerary. Have we convinced you to plan your honeymoon in the Maltese Islands? Let us know in the comments below!